Some time ago a mother asked for help understanding why we might read a book like George MacDonald's Princess and the Goblin. The discussion reminded me of my experience with the sequel, The Princess and Curdy. I read it as a very young child, so young I don't remember how young, and for a very long time I couldn't remember the title of the book. In fact, over the years the details of the story slipped away to the point that the memory of most of that story was hidden in the mists of other memories, other books, other experiences. Then one day when I was in my very late twenties, busy with my life in Japan as a young military wife and mom, the memory of that book came out of the mists, recalled by a stray reference. I was reading one of those special children's book catalogs that used to abound, catalogs as literary as the books inside them, chatty, personable. The catalog writer explained that she had read this book as a child and over the years had forgotten all but a single detail of the story- something about a grandmother with a fire of rose petals that never lost their rose petal essence (similar to the burning bush in the Bible), and you could put your hand in it without harm. She found this detail in the Princess and Curdy while reviewing it for the catalog, and with a thrill recognized her old friend and was delighted and it all came flooding back. I promptly added the book to my list, which back in those days entailed writing out my order by hand and snail mailing it with a check. That fire of rose petals is the one detail I also had remembered. I, too, was thrilled to find my old friend again. I was even more delighted when the book arrived several weeks later and I read it again as an adult. The sequel is just that good, and the first book is even better. MacDonald was a devout Christian and a pastor devoted to his flock - and his God. His books are somewhat allegorical. For some reason, there are some who don't care for them. I don't understand it. However, I would not pass these up based on second hand information. I'd at least skim through them myself first. It is true that not every book is every person's cup of tea (and children are born persons). But it isn't true that merely not liking a book is a sound reason to avoid it. Nor is it good policy to avoid books merely because they have scary things like planned goblin invasions, greedy trolls, and dark caverns in them. A book that frightens one child encourages another. A book that makes no impression on another child will be a never to be forgotten source of courage for another. We cannot know in advance what a book will be to our children- we often think we know, but my own children surprised me again and again. I also have now heard hundreds of times from mothers who say they were sure their child would love or loathe or be bored by this book or another, only to discover it was the newest favourite. Children, like the rest of us, are people of many parts, and we should give them the dignity of being complex human beings with depths we have not yet plumbed and may never. Children have many different reactions to different stories, some good, some bad. I knew a child afraid of beavers after being frightened by talking beavers in The Lion, The Witch and the Wardrobe. I would not avoid a book widely recognized as a well written children's classic merely because another child was afraid of the dark after reading it. Consider that the fact that it is recognized as a well written classic. While that is not alone a stamp of approval and compatibility with your belief system, it does indicate that thousands more children (and their parents) have been blessed and have grown in their understanding because of it, and their experience should be weighted in our decisions as well if the reactions of other children is our measurement. One can also use that knowledge to help with a book rather than to reject it. 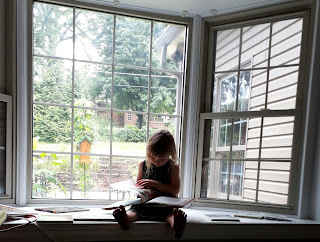 If reading a book makes one child afraid of the dark or another afraid of rats or grand-daddy long-legs or whatever, I'd use that knowledge to help the young reader work through it and deal with it. Real life is not sugar-coated and lined with cotton wool. Children will come to face to face with terrors of their own, both real and imagined. It is better to deal with those first in the fictional story between the pages of a book that can be put down. Real life is full of choices of right and wrong, bravery and cowardice, and people who make the wrong choice. 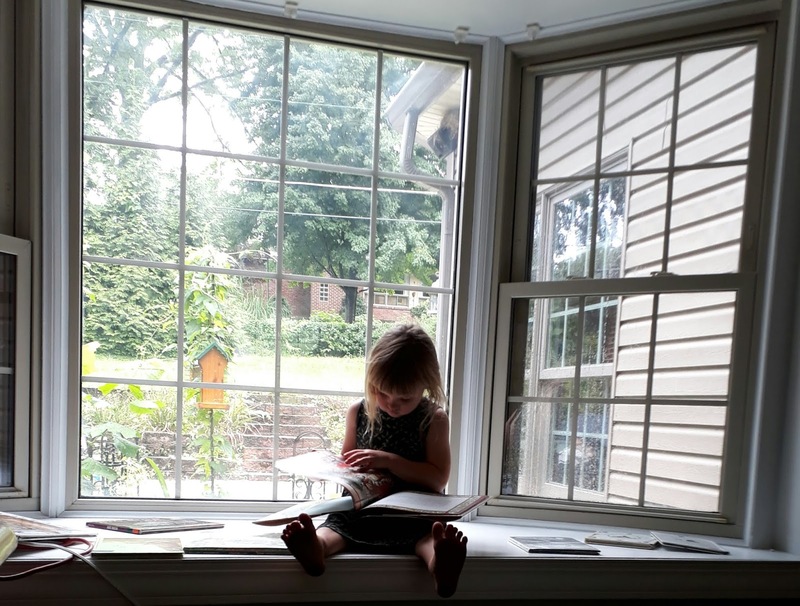 Real books give children some exposure and practice in considering those choices, thinking about the implications, imagining what they would do in similar circumstances. Well written books come alive in our minds. They bring us into the scene. These powerful descriptions and scene setting, this skillful building of worlds feeds our imaginations, warms them, brings them to life, gives the reader an excellent exposure to the skill of writing and the power of words. While we don't want to inundate children with frights and horrors and ignore sensitivities and maturity levels altogether, we also don't want to avoid all possible ways they might become afraid, all misdeeds, or all wrong choices. We all have and have had fears for good reasons and for ignoble reasons and for silly reasons- it's a blessing to be able to recognize them for what they are and have help facing them when young in safe circumstances, not something to avoid at all costs. MacDonald's story of Curdy, the goblins, and the princess is really lovely and living and deserves to be judged on its own merits, not on second hand information (not even mine). Please let your understanding of this book, and every other book, be based primarily on your reading, not just on what a few negative secondhand witnesses have claimed for a book.